We are one of the leading Die Cast Panel Lock supplier in Bangalore/India. To meet the requirements of our clients, we are offering a wide range of Panel Lock and Snap line locks. These are made of high-quality material. The Panel Lock so far offered is appreciated highly by our clients for its reliability, quality, and long life. Quality is our primary priority in all stages of production. We maintain high standards of quality at all manufacturing stages so that the final output has maximum levels of quality. We have the capability to meet the precise, standard dimensional requirements and specific degrees of finishing, testing, and certification required by the clients. We are supported by highly dedicated professionals who are experienced in the implementation of new technological production. We ensure cost-effective production without compromising a bit on the quality aspects, by maintaining state of the art foundry plant and equipment. 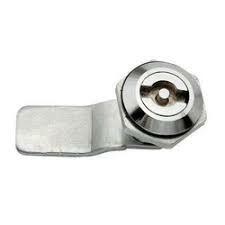 This is one of the leading factors in Die Cast Panel Lock supplier in Bangalore/India. We are engaged in offering our clients a comprehensive range of Die Cast Panel Lock supplier in Bangalore/India. Our range of products includes Hinges, Finder for all Panel Locks, Hardware Components, Die Cast Components, Panel Locks Round, Panel Locks Screws, Panel Lock Triangle, Panel Lock Square, Panel Wing Locks, Panel Padlocks, Panel Key Locks, etc.